Science for kids in elementary school should be the most exciting part of your day. You can teach basic concepts for all of the sciences using everyday objects and experiences. It is nice to find a curriculum that gives all of this some structure. The list below offers several approaches to science to suit the needs of every family. This post contains some affiliate links for your convenience. This means I may receive a small commission if you purchase anything through these links. Click here to read my full disclosure policy. 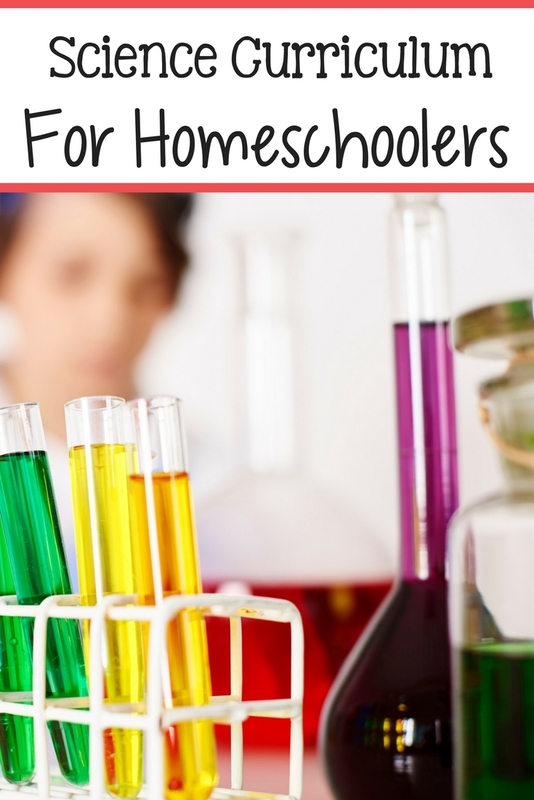 • Real Science 4 Kids – This science curriculum offers the option of a year-long program or taking more of a unit study approach to science. The goal of Real Science 4 Kids is to create building blocks in each science: chemistry, biology, physics, geology, and astronomy. • Top Science – Top Science is a non-profit organization that offers a multitude of ways for kids to get real hands-on experience while learning about nature, physics, biology, and chemistry. All experiments can be done with simple things you have around your house or that you can acquire easily and affordable. • Apologia – For many Christian families, Apologia is a hands-down favorite. It presents every topic with a strong biblical worldview. The series offers suggestions for activities and projects appropriate for elementary school children. • A Charlotte Mason Approach – Fans of the Charlotte Mason approach to homeschool might consider nature studies and journal-keeping as a way to build a foundation for formal science studies when they are older. Such a program teaches a child to carefully observe the world around him and to appreciate even the smallest discoveries. • R.E.A.L. Science Odyssey – Read, Explore, Absorb, Learn. The program teaches children the scientific method, scientific terminology and incorporates math when appropriate. Each book contains a story-like presentation of a concept, hands-on project, list of supplies, websites and additional reading. • Elemental Science – For the parent who likes to have every step laid out and all their student materials in order, Elemental Science is your program. It offers classical science, unit studies, living books and lapbook options for each level. Also, don’t forget all of the fun science kits that you can find online !